Where do I even begin? This was easily one of the most absurd, yet entertaining movies I’ve seen in quite some time. Going into the film I had set very low expectations, not a surprise based on the recent “success” of the DC movie franchise. 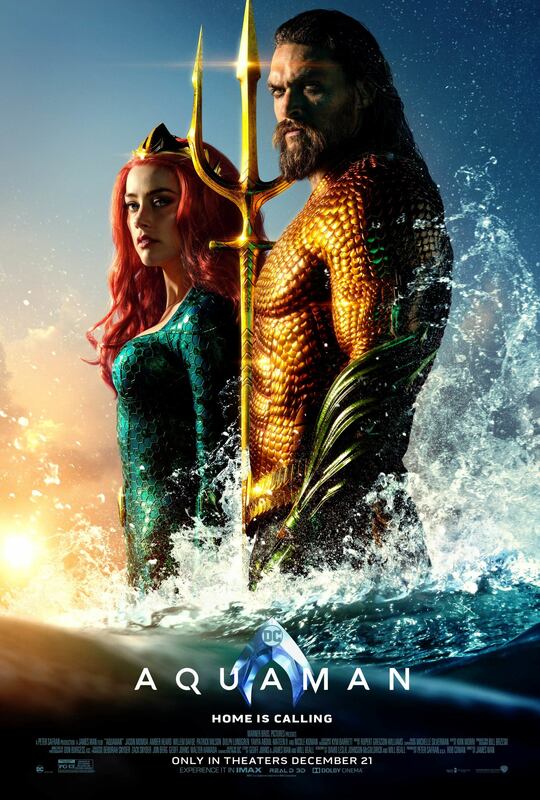 Growing up a Justice League fan I had learned to love the corny, blonde, punching bag that is Aquaman and as soon as I heard Jason Mamoa was cast as the lead role I was a bit unsure about how to feel. Although definitely not as unsure as I was when I heard Ben Affleck was Batman and Jesse Eisenberg was Lex Luthor. I can now say I’ve bought into the Mamoa Aquaman despite him looking super badass as he could not have been more corny. Now let’s get into the movie. Visually, this movie did a perfectly fine job. 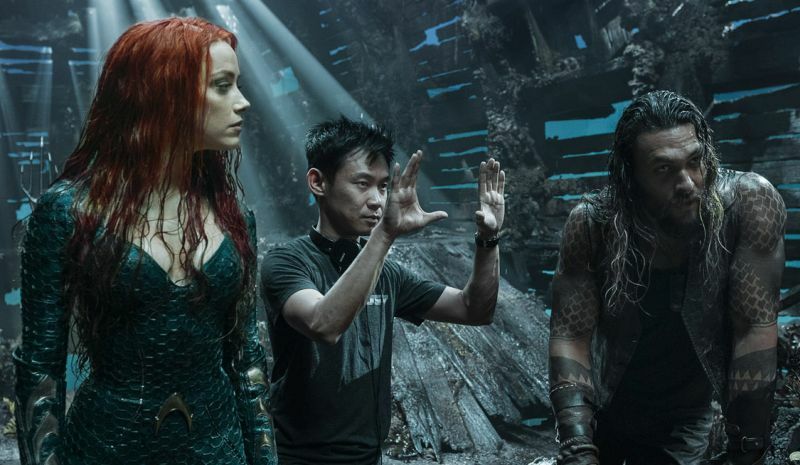 James Wan, one of my favorite directors (Saw, The Conjuring, Insidious), did a great job with all of the action scenes and creating the illusion of actually being underwater. Atlantis looked super awesome and the CGI sea creatures were all fairly legit, even the orca that Amber Heard drives/rides in the final battle. Wasn’t sure how they were going to tackle the talking among underwater beings but the slightly modified voice seemed to do the trick. This movie would definitely fall under the category of movies worth seeing in a theater based on the visuals alone. Raise your hand if you ever expected a movie to contain all of those things… yeah, me neither. But hey, I definitely can’t complain as I was glued to the screen the entire time. Oh and did I mention there’s a Pitbull song playing when they appear in the Sahara desert that samples Toto’s Africa? The ridiculousness is unparalleled. I honestly didn’t have too many complaints given my initial expectations, but I did feel it was a bit too long and the pacing was super awkward at times. One moment Aquaman is seeing his mom for the first time in 20(? )ish years and the next moment he’s riding into war with a brand new costume and trident on the back of a giant crab/lobster/octopus hybrid (voiced by JULIE ANDREWS?!) with barely any time passing between scenes. I also didn’t expect there to be so many “land” scenes, especially none in Africa or Sicily. At times I felt I was watching an unwarranted reboot of the National Treasure franchise (the third one still needs to happen btw). The acting overall was nothing special, the character development and storylines were all a bit too predictable and cliche, but c’mon, it’s a comic book movie. There were also a tad too many surprise explosion scenes and I’m not sure why that bothered me. To conclude: a great “shut off your brain and enjoy” flick. If you over-analyze anything about it you’ll find a ton of flaws but as far as DC films go this may be the best yet. Every scene was so over-the-top it kept you entertained. I feel bad for DC, they try and try and just can’t quite get it. I will say this is a step in the right direction and I’m curious to see what happens in the future.